To further serve the northern Denver metropolitan area and provide a regional solution for wastewater treatment and transmission, the Metro Wastewater Reclamation District used progressive design-build delivery to achieve schedule savings, cost certainty and collaborative owner-contractor delivery for its Northern Treatment Plant Facilities. Use of progressive design-build enabled the Metro District to maintain a high level of control and input on facility design, appropriately assign project risks, and build a project delivery partnership that promoted capital savings and design innovation while adhering to budgetary goals. 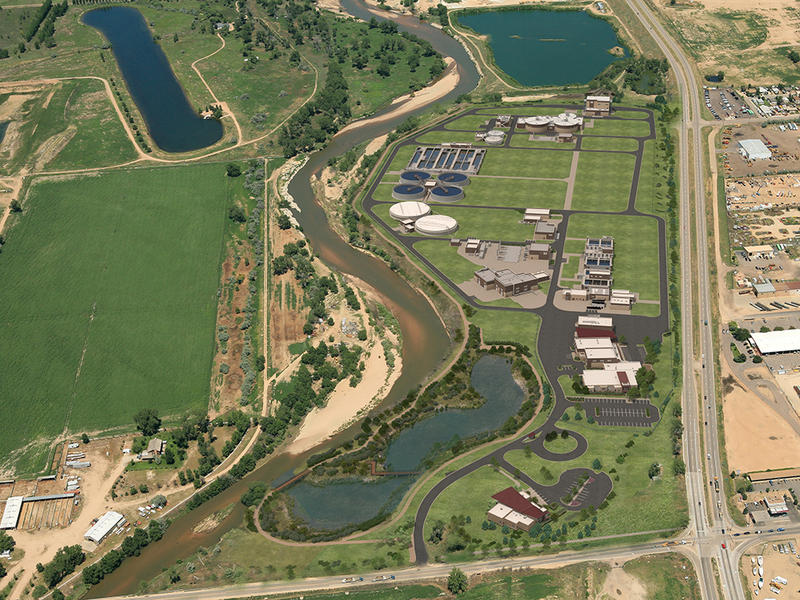 The Northern Treatment Facilitates Project is a regional project helping solve wastewater treatment needs for the northern Denver metropolitan area and highlights how a progressive design-build delivery achieved schedule savings and cost certainty for the Metro Wastewater Reclamation District. The Metro District and its owner advisor worked with the design-builder to develop a project partnership that promoted team collaboration and project risk assignment that met the District’s facility, budget and schedule goals. Design-Builder: CH2M Hill Companies, Ltd.
General Contractor: CH2M Hill Companies, Ltd.